Many of our clients operate traditional sporting businesses. We have extensive experience in appraisal of such operations, design and operating sporting enterprises and also diversification of the core business into other leisure activities. We let single day shooting, fishing, entire grouse moors and other sporting arrangements. Diversification of most estate and farm businesses is fundamental to their survival nowadays in many circumstances. Each concept requires thorough and detailed analysis and assessment which we are able to carry out. With such projects inevitably public access becomes an issue and we have extensive experience managing this challenge. We have also been instrumental in delivering many miles of public footpaths in consultation with the local stakeholders and developing such initiatives in such a way as to minimize the impact on the other estate or farm operations and also to ensure safety at all times for the access taker. 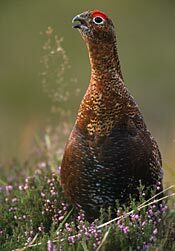 Upland management often involves red and roe deer management as well as red grouse. We have extensive experience of each. We seek to manage red and roe deer for quality trophies whilst ensuring a balance with nature is maintained and habitat damage is avoided. A recent problem which is coming to the fore is that of the tick. Land Management (Scotland) Ltd coupled with its significant experience of farming, has been at the vanguard of developing tick mop exercises designed to reverse the decline of grouse moors. We let shooting, stalking and fishing on estates/farms all over the North East of Scotland and we would be happy to assist you in putting together a “package” or even a Macnab!